“WHEN labour union strikes, the government is held on a temporary standstill, but this strike is usually finally resolved. When teachers strike, the pupils and students are forced to stay at home, yet this strike is usually finally resolved. When a strike occurs in any human endeavour, this strike is eventually resolved. But when old age strikes, can any man resolve it? One day I was in a bus on my way to see a friend of mine. As we went along, the bus stopped for an old man to enter. He was talking to a young lady whom I guessed to be in her early thirties, one you could easily guess to be his grand-daughter. The young lady tried to help him inside the bus as she held his hand while he smiled. She called him Epa (pronounced Hey Pa) – a word used to address elderly people in Benin dialect) in a light-hearted manner, but one that was not uttered in pity. This old man was wearing a white-cap-turned-brown, with blue-lace native African attire. Through the holes of the lace material, you could see his white singlet, which now brown, reminded me of my late grandfather who was a great farmer. Although my grandfather had so many singlet’s and clothes which were sent to him by his children who were my uncles, aunties, including my mum, he chose to wear the brown ones, those that I guessed he bought himself. Perhaps, he did not want his less privileged friends to feel distant from him because he had more clothes than they did. Back then in my home town, kinship and kindred spirit was valued more than mere physical possessions. For what would seem like one or two minutes, everyone waited as this old man struggled to enter into the bus. You could also see that he did not wish anyone to help or assist him but sadly, he could hardly help himself. The young lady held his hand into the bus and waited for him as he pulled one leg repeatedly with his own hand, before both legs finally found rest on the floor of the bus. You could literally feel the members of his body, as they struggled together to move in harmony. It was like an old piece of engine that was in dire need of great servicing. His body was like an old locomotive that needed grease, engine oil, some replacements in its parts, as well as some electroplating. It was like an old engine that seemed to have overworked its use, yet it never encountered any fatal accident. This engine did not only work hard, but it seemed to have worked its full capacity and bore astonishing results. When he finally settled, everyone heaved a sigh of relief, a sigh of victory perhaps. It was as though he had today conquered the great opposing forces of nature again. Gravity seemed to be pulling him down, calling for his valiant soul to take rest, yet he did not relent, at least not yet. The midday hot Saharan sun seemed to be pounding on his dark, charcoal-skin, as if to tell his melanin that it had long over-bathed its time. Over 32,000 sun lights must have beaten this dark, strong, hairless, and scaly skin. “Koo yoo O!” was all he muttered in his native tongue, which meant to say, “Good day”- a common greeting in Benin dialect. It was as though his voice had sent a message, like the computer instructions sent from a keyboard that dashed straight to the instruction-sets inside the computer’s microprocessor. The bus quickly responded, some almost shouting back so he could hear their voices. I heard some Benin ladies uttering back, “Epa doomoo!” which meant to say, “Baba well done.” He just smiled. He felt at home perhaps. There was something unusual about this old, lively man. Although he sat in a row ahead of me inside the bus, it was a 10-seater bus. I could see him from my right side, as if from profile view. I leaned forward and looked closely at him. I saw that his head was tilted slightly, about 15 degrees towards the right from its original upright posture. His trapezius and sternomastoid neck muscles seemed to have lost their elasticity, as he tried to balance his head on his now relaxed body. In my mind I asked, “Why did this old man refuse to allow the young lady to accompany him to his destination?” Before I could find an answer, somebody in my row shouted, “Driver stop!” He wanted to come down. For him to leave the bus, this old man first had to come down to give a chance for the person to come out. The bus stopped and the old man struggled out of the bus. This time, a younger man about half his age accompanied him out. He had to cajole him to help him. No one complained. I guessed his age to be in his mid-90s. The passenger quickly rushed out of the bus, so as not to waste Epa’s time. But in Epa’s world, there seemed to be no more time at all. Although you could see him struggling as he tried to re-enter the bus, you could easily tell that his movements have transcended beyond our own time. His movements had slowed down dramatically, almost getting to a halt. When he finally sat down again, I noticed his bright red eyes. I saw eyes which must have survived sand dusts, sand blasts, and sand tsunamis in the farm or in the battlefield perhaps. My grandfather’s elder brother was recruited and he fought in World War II. (I almost forgot he was my grand uncle). I did not grow up to hear his war stories in the battlefield before he departed. This old man very much reminded me of my late grandfather. Although my grandfather did not live this long, he died in his early 80s in the early 90s. He did not live to see the millennium. Yet I could feel that they shared the same kind of powers. Powers that only time could create. He must have been a patriarch-like my grandfather, one who held a great extended family together. In the midst of family conflicts, their whispers buried hatchets. They held not only families together; they also held and headed clans. As the bus continued, I leaned forward and looked closely at his hands as he struggled back and forth to regain his lost composure. I could see very thick hands, and strong, strong fingers. I saw hands which might have held hoes and cutlasses for many years. In my mind I saw fingers that had fed the lips of many, fingers which must have given great men education; the education that has determined the successes of many a great elite that we see today. I could also see that some of these fingers were bitten. I saw fingers betrayed by the very lips it once fed; the same lips that once cajoled to collect money from it. Yet when it was their turn, these same lips gave excuses and refused to extend their hands of fellowship- maybe to help their less privileged younger ones. I could not feel pity. This man had sharp eyes, he smiled and he seemed contented. Yet in my mind’s eye I could remember that the lady who accompanied him to the bus did not seem so happy. Was she married? Was she separated? Or was she the one that everyone had decided should cater for this warrior; yet did not have the chance to live her own life and Epa, knowing all these decided she should take her freedom by not allowing her to help him to move around? How will I ever know? The bus stopped at Uselu market (a major area in Benin City), and then my eyes went back to this elderly man again. This was Epa’s time to stop. The man who sat by him and assisted him earlier happened to be stopping also. He accompanied Epa out while the bus waited to collect other passengers. I looked at the faces of the other commuters in the bus. Some shook their heads in pity; some stared with great awe and wonder. But in my heart I felt many of them might not live this long. I could see they would not even wish to. I turned back to see Epa again. The younger man, now by his side, held his hand, as they both waited to cross to the other side of the road. Although the younger man seemed to be trying to lead Baba in haste; Baba took all his time and walked gallantly. His posture, now slightly bent forward, he held the younger man’s hand and it took them about 20 seconds to cross the road. The cars slowed down to a halt. The vehicles on both sides of the road watched and waited patiently for this old man to cross to the other side of the road. Nobody complained. I could see that in a world where people did not care, both lanes showed an unusual form of respect, as though they were paying their last respect. Then I saw that old age had struck a once young, vibrant, effective, energetic, enthusiastic and probably handsome man. Yet he continued to battle with it. How long will this strike last? Then a thought struck my heart- when old age strikes, both the rich and the poor will be humbled. No wealth in this world can redeem the time. 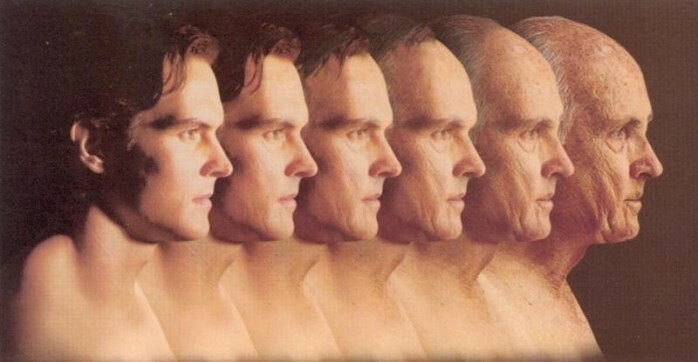 After old age, death finally creeps in and strips man of all forms of attachments to the things of this world. In death, he becomes a total stranger to his own possessions and to those he once called his most beloved. Dust he came and to dust shall he return. Then I realised, like that old man crossing to the other side of the road, so will a man cross to the other side of his own existence. And when he is crossing (although many may not be aware), all will stand still and wait patiently by his grave for his body to finally depart, like the vehicles that once waited for that old man to cross. They will watch in mourning and silence as the body crosses from the outer world into the heart of the earth, into the underworld. And when the body finally crosses underneath like the old man who crossed the road, others will continue to move to their various destinations like the cars and vehicles that once waited for what seemed like eternity. Yet in all these, I began to feel that some people will cheat old age and death. Those who will do will not have to rely on the finest cosmetic ‘age-miracle’ products. They will not require special medicinal pills to freeze the cells in their body. They will not even rely on any form of cosmetic surgery. To cheat death, these few persons will have to rely on something that is greater than death itself. But not many will want to find out, let alone be willing to pay the right price.